We have multi-level pricing according to achievement levels & years of experience. Amounts listed for services are the starting price. Please inquire for exact price quote with your preferred staff. If at any time you feel you would be more comfortable or better served by another team member, we encourage you to make a change. We are confident that we have a professional that will best serve your needs. Life happens!!!! We understand. For your convenience we will provide a 48 hr courtesy call prior to your appointment. If for any reason you are unable to make your appointment kindly call twenty-four hours prior to your visit to avoid an appointment charge assessed for “no show” appointments. 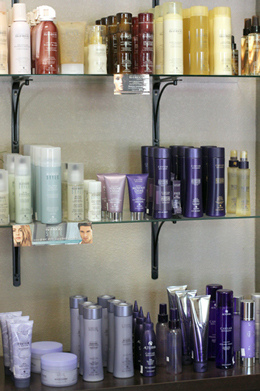 Please remember that your appointment is reserved for you, and we want you to have your stylist's undivided attention. If you do bring children into the salon, they must be supervised by an adult while you are receiving your service. Our salon is not "child proof" and we want all children to be safe! Strawberry Blonde Salon uses only time/industry tested professional products with the finest ingredients. To ensure the health of your hair and scalp, we encourage you to get a personal prescription from your stylist that will protect your hair and any chemical services you may have received. Gift certificates are available in form of a dollar amount or in form of services. Strawberry Blonde Salon respects the privacy of all customers. No personal information about our customers will be shared with or sold to any third party. 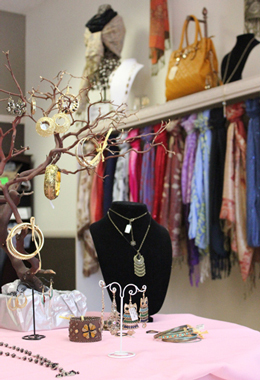 and more in our Fashion Boutique.